Classes Enrolled: Movement Course - The Way You Move! 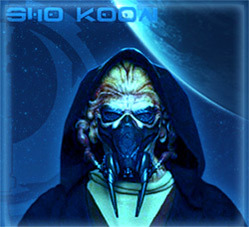 Hey Sho, as for Padawan sessions, how are you at 8 PM GMT on Thursdays? That's okay, Sho. As for Padawan Sessions, I'll ask who of all the active Padawans would like to visit and come up with a time/date. Personally, I'd prefer it to be on a Sunday night, maybe Monday night. What time suits you best? Sorry Mate I hadto award the Bye.. Your against Joh in the loser bracket, you should move pretty sharpish as the deadline is today! Although I can hold off for a few days. Hope to see you on soon. Sorry I didnt reply mate, been a bit snowed under with uni work, havnt managed to get on the JA or MBU servers much either Some time this weekend though for sure, get some crammed Red training in on the Public servers before hand. Lol. If thats alright with you? This comment was edited by Cuthalion on Jan 15 2009 05:30pm. It was Mrs. White with the candlestick in the bedroom. i have question how i can play this game can ia must buy it or download? If i can download then wat addres. If T-Bag has left the tourn, (I've asked him to get back to me) we should arrange a day for clash of the titans. Any preference? Hey sho your facing t-bag in the red only tournament aren't you??? If you are you might want to check out the red only tournament forum page just thought you might want to know. no worries, I only deleted my classes to put up new ones. I've given my yellow class an overhaul to improve it in general. If all goes well, I should be putting it back up soon. You're interesting to join my family? If you're, look at forums, then Academy Discussion. And "NEW FAMILY!" This comment was edited by Rouc Ro'Dor on Jan 04 2009 02:29pm. Im not Kel Dor Thanks for welcome. I was thinking, can u help me? Thanks for signing up to the tournament. Yo Sho! Merry christmas, have a purrfect day.